Lot 935. 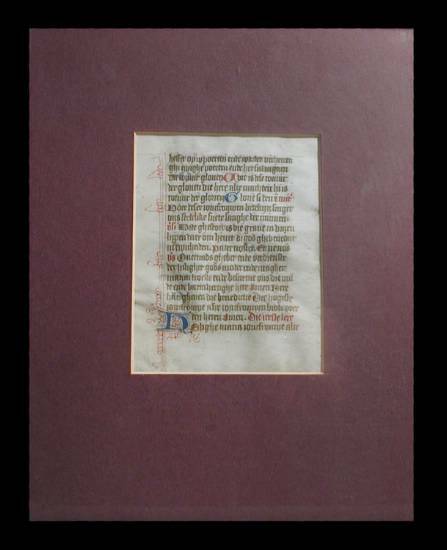 Framed manuscript Book of Hours Page. France, XV Century AD.